“If you can’t measure it, you can’t manage it.” The axiom has become a staple catch-phrase for many businesses because, for the most part, it’s true. Without data, it’s difficult to understand what’s happening in one’s business. Without understanding, it’s difficult to make effective changes. Without the initial data, it’s difficult to know if your changes made a difference. As a restauranteur, you’re well aware of the head-spinning complexities of running your business. Inefficiencies can pop up anywhere. Even small ones can have a cumulative effect that results in lost revenue, increased expenses, poor service, mediocre food, or all of the above. Hopefully, your POS system is capable of delivering information that can help you identify and correct these problems. Here are just a few reports you should be leveraging to help run your restaurant more smoothly. Sales — This most common report contains the essential details concerning your sales. 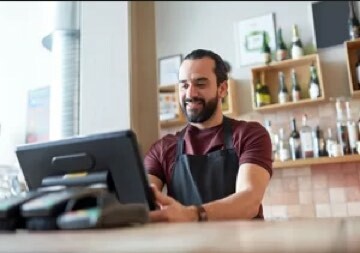 What data is available depends on your POS provider, but you should be able to track sales by time period (useful to find seasonal trends), your number of guests, table turn time, sales by server, and more. Inventory — Telling a customer you’re out of a certain dish or ingredient isn’t a strategy for long-term success. Inventory reports will allow you to track your use of ingredients over specified time periods to better plan for the future. Additionally, without inventory controls in place, you might not notice if an employee is helping themselves to a steak dinner and bottle of wine on your dime. Labor — Your labor reports can show you how your employees are performing from a sales perspective. Is there a reason why two employees working the same shift have vastly different total sales numbers? Is one better or worse at upselling drink specials, appetizers, or desserts? Is one just a poor performer? Labor reports won’t give you the answer, but they will tell you to start asking questions. Exception — This report will show you all the voids, refunds, and discounts within a time period and by staff members. This is useful in determining 1) if you have an employee not adequately trained on the POS system or your discount policy and 2) if you have an employee stealing in some way. Product mix and menu — Offering more detail than your sales report, this report can show you which menu items are selling and which are not. When you consider the cost of ingredients for menu items, you can make better decisions about what items are most profitable and popular, and which should be dropped to save money. Accounting — Since your POS software is the backbone of your business, it’s critical that the software can generate accounting reports to pass on to your bookkeeper. When tax time comes around, having everything in one location will be a big time-saver. Gift cards, coupons, and loyalty — While these reports might be split or a part of other reports, it’s important to draw attention to the fact that you can and should monitor your gift card (sale and usage), coupon usage, and loyalty points (are people using your loyalty program?). Marketing — If your POS is tied to a CRM system, being able to identify customer behaviors can allow you to create future marketing offers that provide additional positive returns. For example, knowing what customers are most loyal and what they like to drink, can allow you to create powerfully effective offers. Of course, there are dozens of additional reports available that you could use to measure and manage your restaurant. While it can feel overwhelming and time-consuming to dig into these reports, they are the key to allowing you to keep expenses under control while maximizing your profits. A former VAR and ISV, Mike Monocello is the co-founder of DevPro Journal and XaaS Journal. Prior to these rolls, he was editor-in-chief of Business Solutions magazine (now Channel Executive magazine) for 10 years.Mike is also the editor of SCAN: The Data Capture Report and a regular contributor to RSPA Connect magazine and part of the RSPA’s education faculty.